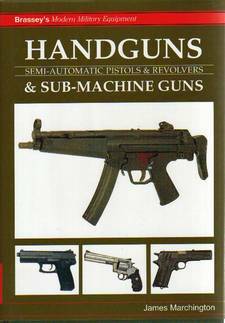 A very handy and affordable reference from the Modern Military Equipment series. Colour is only used on the cover, but each gun is depicted with a crisp black and white side view photograph. Guns are arranged in alphabetical order by manufacturer’s name. Each entry includes details of background, operation, controls, and service. A box is included in each entry and contains key details of dimensions, weight, ammunition, etc.